El Anatsui is an artist born in Ghana in 1944 and lives in Nigeria. He has a BA in art and a Graduate degree in art Education. 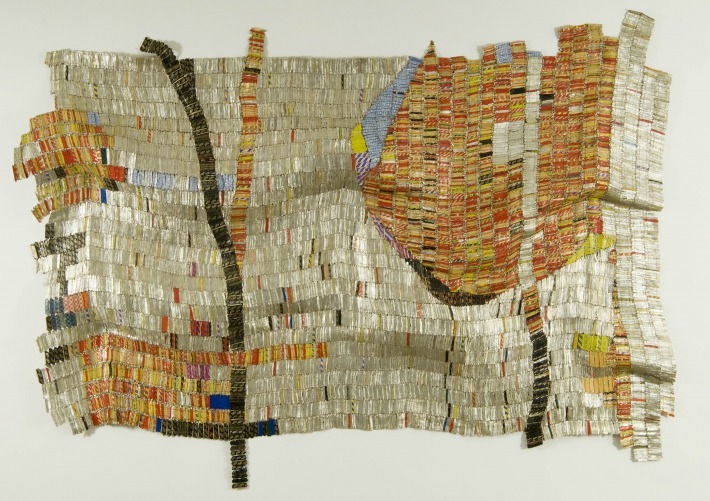 El Anatsui has been exhibited in solo and group exhibitions around the world. 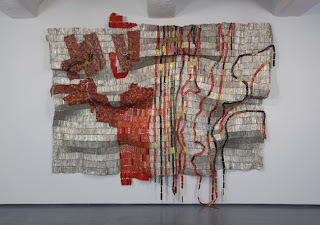 He has worked in multiple types of media, from wood and clay to woven cloth. 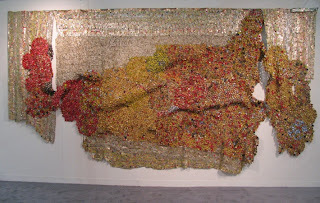 Recently focusing more on the fiber arts, he creates large installation pieces. 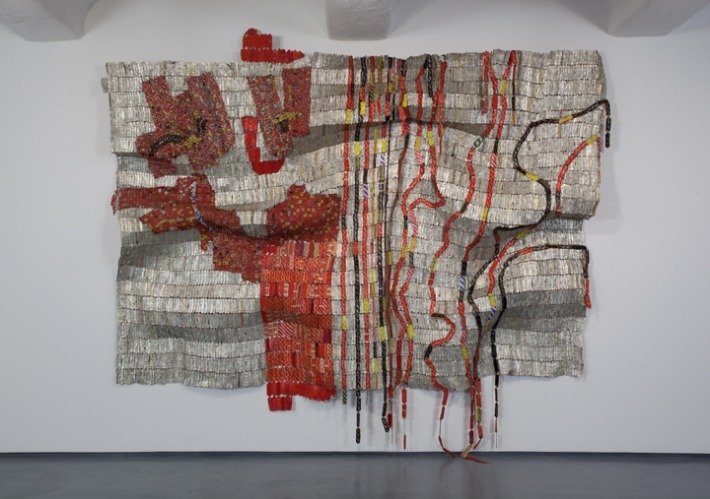 El Anatsui creates motifs, uli (design elements), and nsibidi (indigenous pictograph writing) taken from his Ghanaian heritage to represent traditional beliefs, social commentary, and political statements of culture from Ghana. 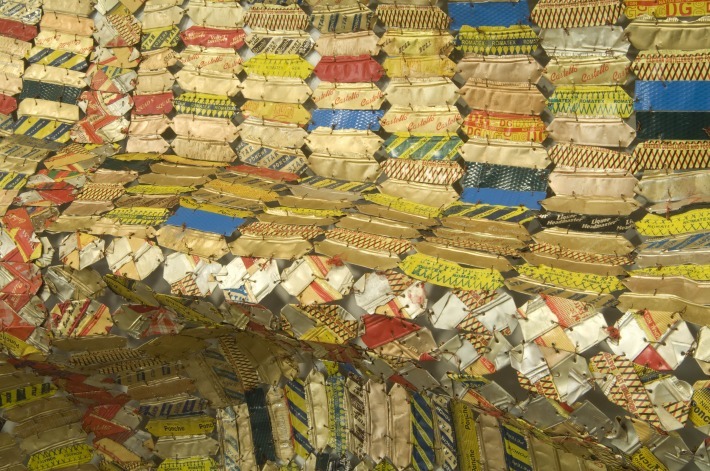 All of his works clearly show relationships to traditional African Art, but also show his creativity through his materials. 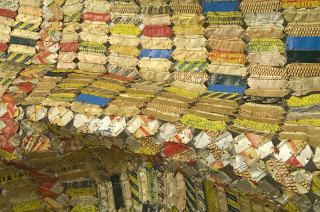 My favorite works by El Anasui are his woven pieces. I just love how huge and powerful they are. It's hard to imagine the impact they would have at full size from the photographs, but they are beautiful in small form as well. The images are all taken from the website here. His website, here, is under reconstruction.